Who doesn’t love a good game of dodgeball – especially when it’s to support a fantastic local cause? 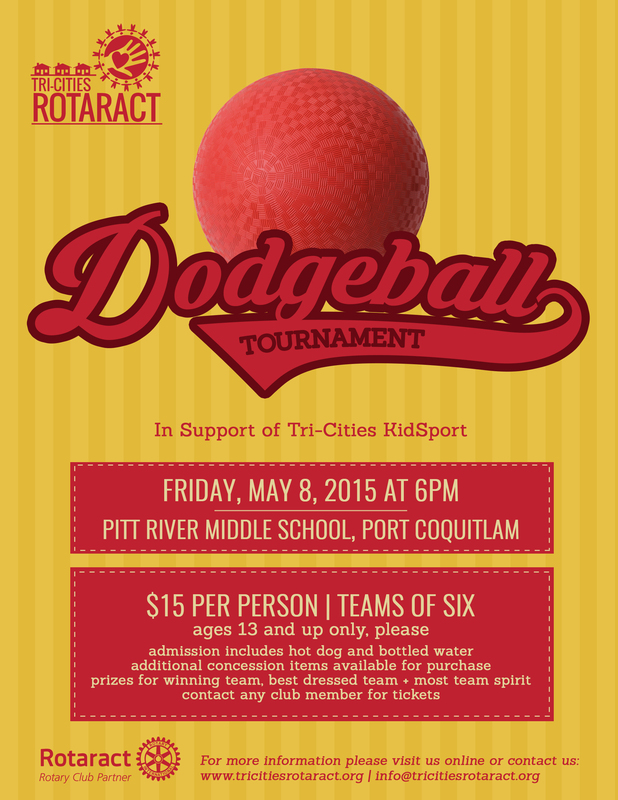 Our Community Service committee hosted a Dodgeball Tournament at Pitt River Middle School on Friday, May 8 to help raise money for Tri-Cities KidSport, so that all children in the Tri-Cities can enjoy the fun and benefits of organized sports. Overall, nearly 100 participants came together to raise a grand total of $1,168.36 for the cause! Thank you to all of our players for coming out and supporting us #SoAllKidsCanPlay! Check out photos from the event on our Facebook page. Click to view full poster.